Ahh lent, means more fish. In LA, means more smoked salmon. 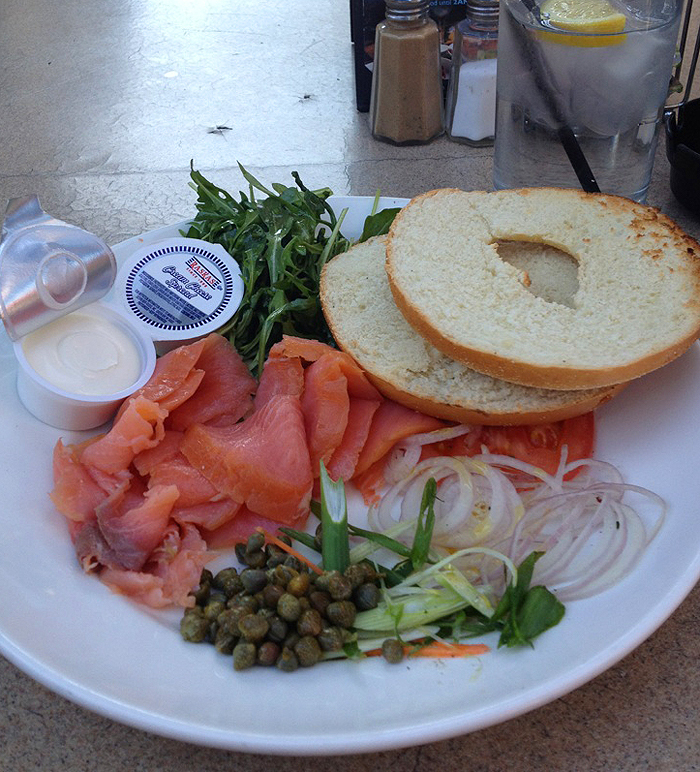 Yesterday, bagels with smoke salmon at The Abbey in West Hollywood. 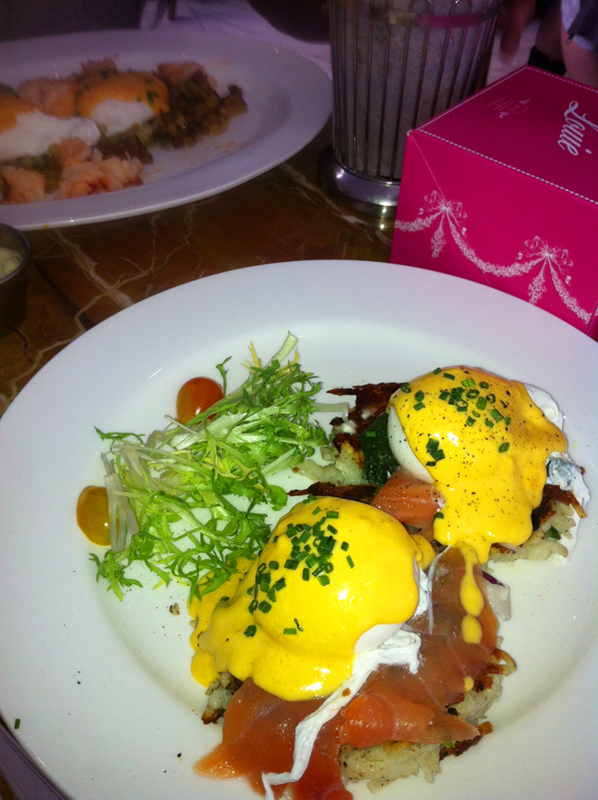 And today, smoked salmon benedict at Bottega Louie. Today’s version is way better as we wash it down with their macarons. This entry was posted in Happiness Under $20 and tagged bagels, desserts, eggs, food, lent, restaurant, salmon. Bookmark the permalink. What sort of small green fruits or vegetables is this in #1? Capers? Salmon is fabulous hot or cold. 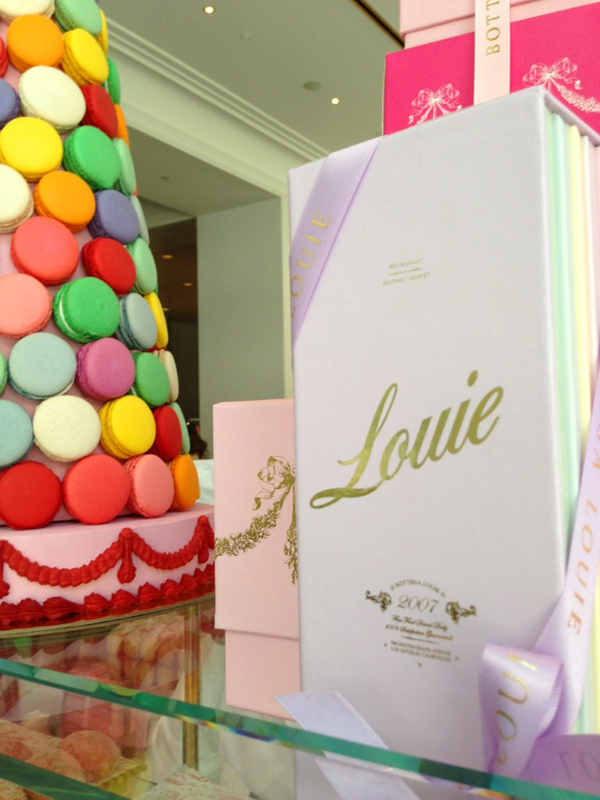 And I love the colorful macaroons too. True. With bagels, rice or potato pancakes!